The seventh-century Indian master Candrakirti lived a life of relative obscurity, only to have his thoughts and writings rejuvenated during the Tibetan transmission of Buddhism. Since then, Candrakirti has been celebrated as offering the most thorough and accurate vision of Nagarjuna's view of emptiness which, in turn, most fully represents the final truth of the Buddha's teaching. Candrakirti's emptiness denies the existence of any "nature" or substantial, enduring essence in ourselves or in the phenomenal world while avoiding the extreme view of nihilism. In this view, our false belief in nature is at the root of our ignorance and is the basis for all mental and emotional pain and disturbance. For many Tibetan scholars, only Candrakirti's Middle Way entirely overcomes our false belief in inherent identity and, consequently, alone overcomes ignorance, delivering freedom from the cycle of uncontrolled death and rebirth known as samsara. Candrakirti's writings have formed the basis for Madhyamaka study in all major traditions of Tibetan Buddhism. In Resurrecting Candrakirti, Kevin Vose presents the reader with a thorough presentation of Candrakirti's rise to prominence and the further elaborations the Tibetans have made on his presentation of emptiness. By splitting Madhyamaka into two subschools, namely the Svatantrika and Prasangika, the Tibetans became pioneers in understanding reality and created a new way to define differences in interpretation. 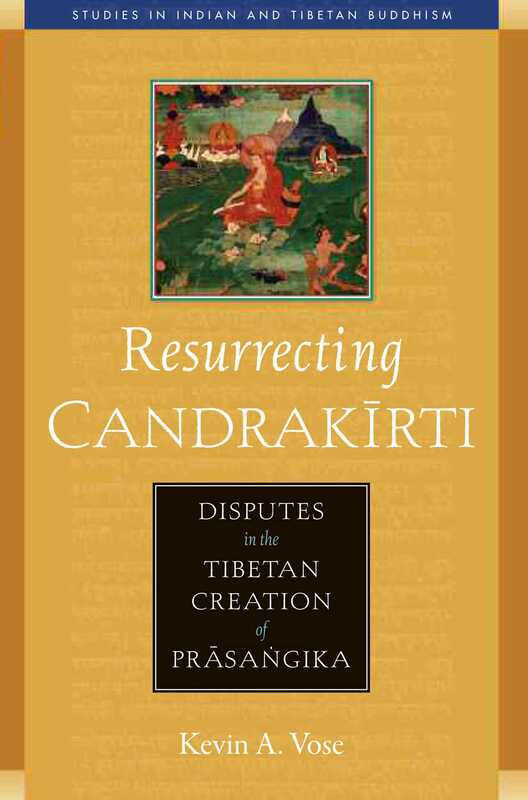 Resurrecting Candrakirti provides the historical and philosophical context necessary to understand both Madhyamaka and its importance to Tibetan Buddhist thought. "A fascinating and brilliantly readable exposition of the re-emergence in India of Candrakrti's view of ultimate truth and of the controversies involved in its reception in Tibet before it became the dominant view."